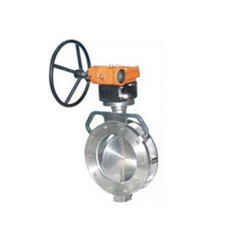 Owing to the vast industrial experience, we have been able to offer our customer optimum quality Flanged Valve. Manufactured using cutting-edge machinery and sophisticated technology, these offered valves are widely used in petroleum industry for regulating the flow of various fluids and gases. 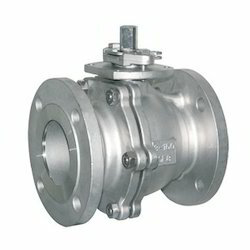 The offered valves can be custom designed as per the specification provided by the customers. 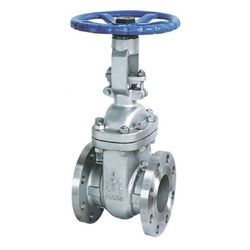 With our rich industry experience in this domain, we are introducing a comprehensive assortment of Flanged Gate Valve, that is available in different specifications. This valve is manufactured using quality assured components under the strict supervision of our qualified professionals. Manufactured as per the requirements of our clients, offered range is tested on diverse parameters to ensure its accurate and efficient functioning. We are providing this product at acceptable prices to our clients. 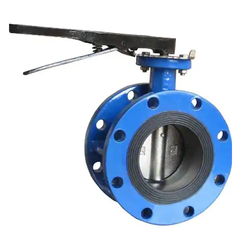 We offer Flanged Butterfly Valve which is widely used in various industries like refineries, chemical factories and tunnels to resist high pressure of water or fuel. This product is available in various shapes. We are manufacturer and supplier of Double Flanged Butterfly Valve, with gear actuator which is widely used in various industries like refineries, chemical factories and tunnels to resist high pressure of water or fuel. Looking for Flanged Valves ?